Valentine’s Day Weekend is almost here and once again Adam Torres is bringing one of the hottest concerts to the tri-state area. 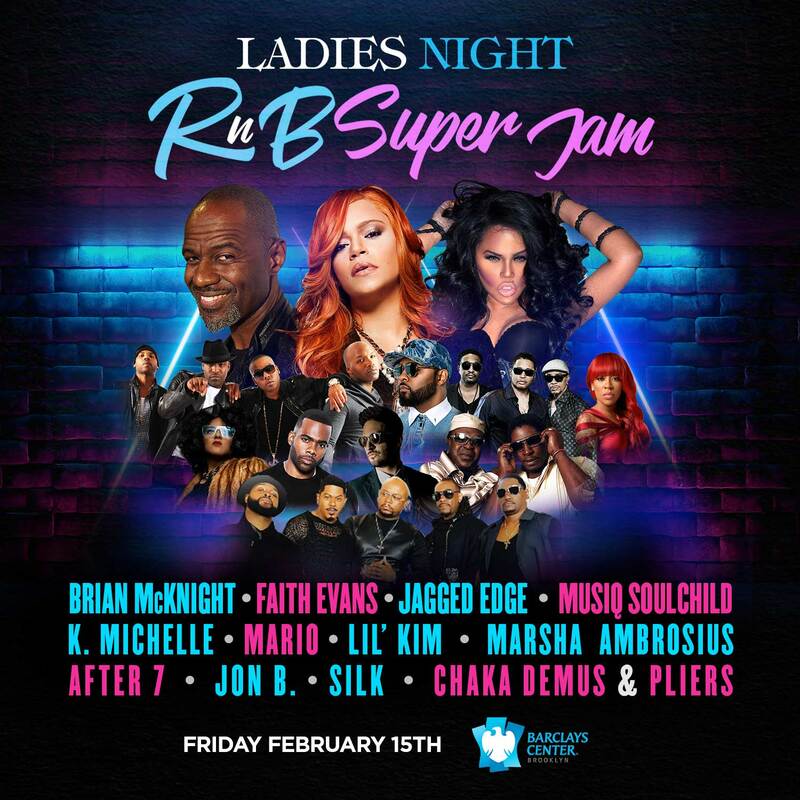 On Friday Feb 15th the “ Ladies Night R&B Super Jam “ will go down in NYC at the Barclays Center which will feature an all-star lineup including Lil Kim , Faith Evans , Mario , K.Michelle , Brian McKnight , Musiq Soulchild , Jagged Edge , Marsha Ambrosius , Jon B , Silk , After 7 and Chaka Demus &Pliers. These superstars will hit the stage that Friday night for one must-see concert that will definitely sell out. Get your tickets on sale for only $55 when you use their special 30% off code Rnb19 at TICKETMASTER NOW.